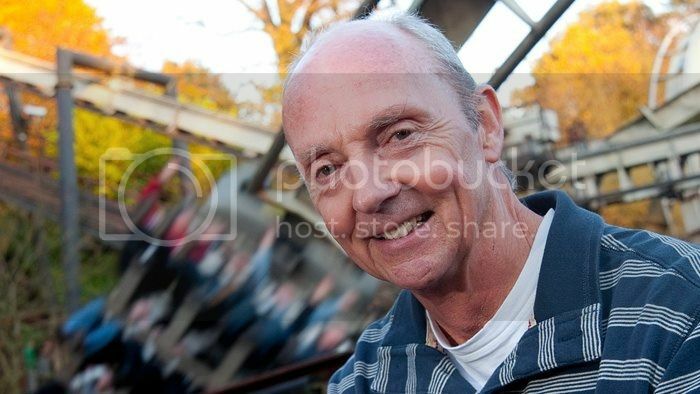 The designer of pretty much every ride at Alton Towers and Saw and Swarm at Thorpe, John Wardley, is to retire. All I can say is, Damn. Re: John Wardley to retire. I totally agree with you Thekingin64, it was really sad for me when I heard this news as he has desgined some fantastic rollercoaster, including the one he worked with Werner Stengel called Dragon Khan at Portaventura, which is just incredible. He also was tasked for making alterations to the Intamin 8 Inversion Coaster layout, for Thorpe Park's 10 Inversion Coaster, Colossus. However I think he has decided to do it at a high, with Swarm last year and now The Smiler, two truly world class rollercoasters. Definitely agree. It much more of a high than if he'd retired after 13! To be honest, I was surprised at this because I didn't realise he was still working!